Sky lanterns are still a relatively new item for celebrations in the UK, and are commonly released on New Year eve, and for weddings, birthdays, memorials and other similar occasions. Due to the novelty factor, the cheap availability, and simply the beautiful appearance of the lanterns in the night sky, these items are very popular. They can be written on with pen directly or sometimes sentimental notes are attached, depending on the occasion. These lanterns are banned in many other countries around the world and the examples below help to highlight the reasons why. Whilst these aren’t either isolated or guaranteed/frequent incidents, they represent the variety of issues this aerial waste can cause. In 2010 a 3 year old boy – Cael Jones – was attending a bonfire party in Wales when he was badly burned on his face by a falling piece of lantern; the fuel cell, which heats up and contains paraffin wax. In October 2011 a barn owl was found dead at a Gloucestershire farm, after becoming entangled in the wire frame of a lantern (see photograph below). In 2013 there was a huge blaze at a plastic recycling plant in Smethwick in the West Midlands, believed to have been started by a singular sky lantern. 10 firefighters were injured in the fire. Every year, cows in the UK are dying agonising deaths in fields due to the wire parts of sky lanterns being chopped up accidentally and therefore mixed with the crops for their feed. 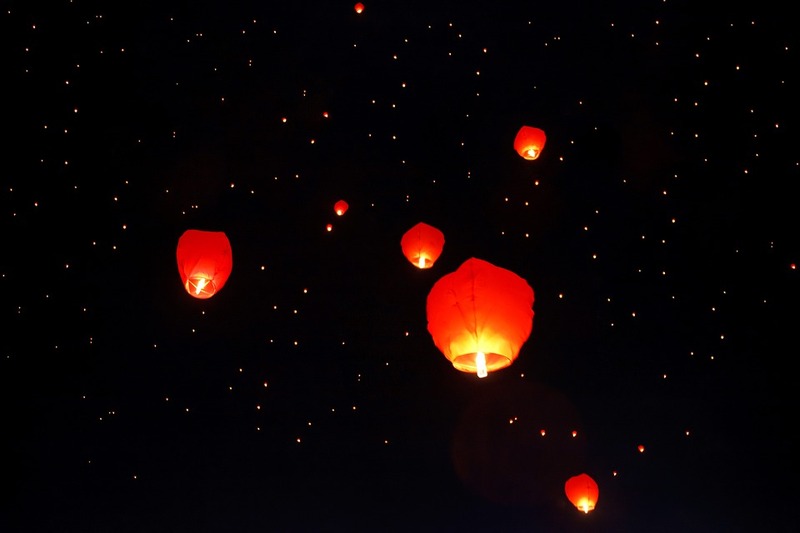 In Summer last year, following incidents like the above leading to a call for a nationwide ban, a new safety code of practice was announced for the use of sky lanterns in the UK. This covers issues regarding the lanterns’ release, biodegradable materials, and the need to contact local air traffic control or coastguards if the lanterns are released within 10 miles of air space or the sea. This rule is to avoid them being mistaken for flares or aircraft, or even getting caught in a plane’s engine, which is a fear that has been expressed by many aviation agencies. Flights have already been delayed or cancelled due to sky lanterns in the air space. However, whilst this safety code of practise is welcomed as a step forward, it doesn’t stop lanterns from becoming litter. Nor would it have prevented any of the 4 incidents listed above. Therefore, the risk factor to humans and animals is still very much present. Helium balloons have long been used in celebrations in the UK, and the release of large numbers of balloons has become fashionable at celebrations ranging from weddings to sports and charity events. There are 2 types of balloon; latex and foil. Both create dangerous litter, although the foil kind are arguably slightly worse as they are not biodegradable. They are recyclable, however, but that doesn’t seem particularly useful when they are being released to land in unknown spots! The latex balloons are often referred to as biodegradable, however it would take many, many years for this to occur – in the meantime, they could be harming marine life or birds and animals on land. 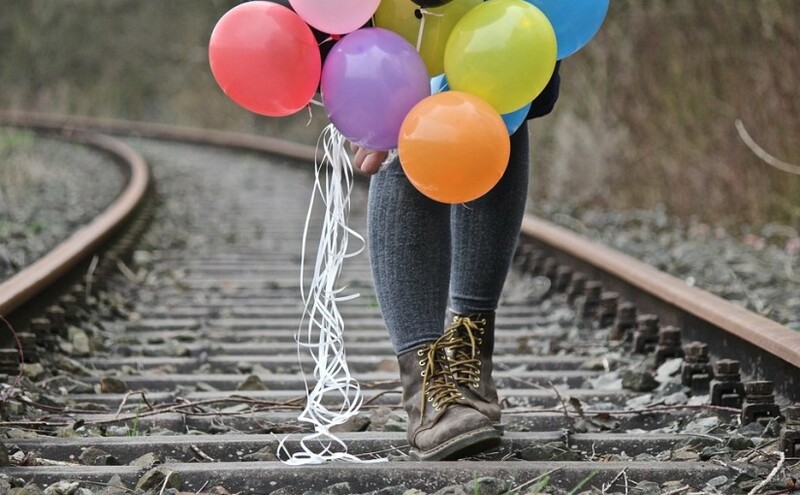 When balloons return to the ground after flight – in one piece or as fragments – they are sadly tempting to animals, birds, and fish, as a food. When ingested, these pieces of latex often block the digestive tract and can cause a slow, painful death. String, ribbons, notes, and other attachments could compound the problem further by adding more litter to harm wildlife and the environment. 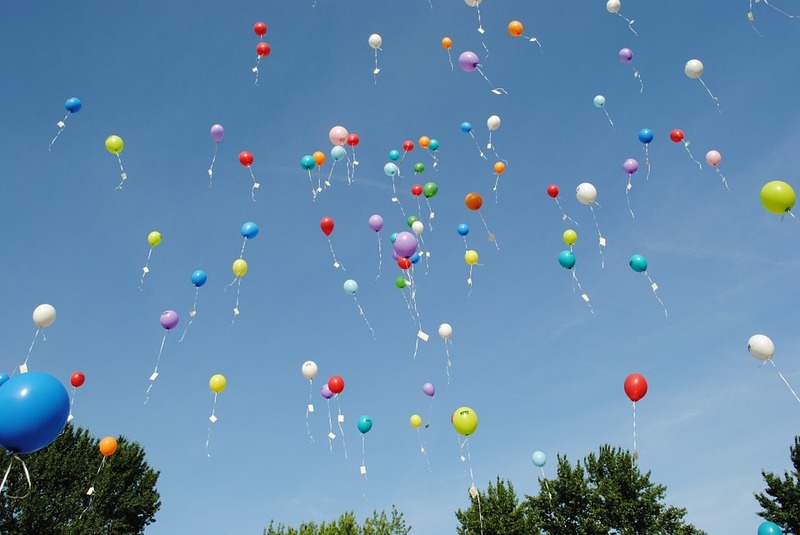 Sky lanterns and balloons are often released in a charitable manner, however I believe there are much better ways to celebrate an occasion or a life than by releasing litter into the air. Sky lanterns and balloons may look very pretty, but are they worth risking lives for? Please consider the environment. We share an interest in writing about litter and littering. I publish a a news website and weekly newsletter. Contact me if you’d like to be on the email list.